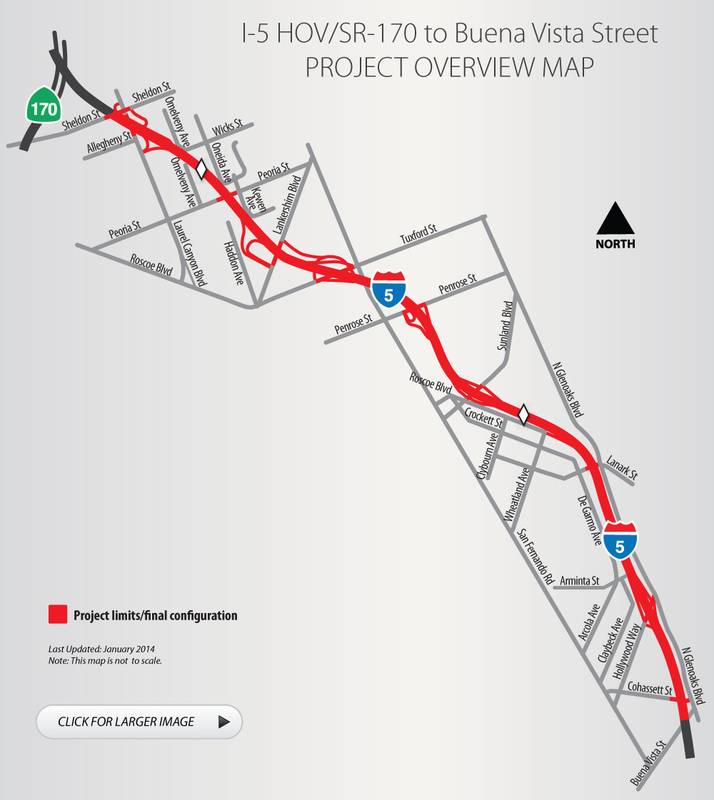 The Golden State Freeway (I-5) in the San Fernando Valley has been widened to add a High Occupancy Vehicle (HOV) or carpool lanes in each direction between the Hollywood Freeway (SR-170) and Buena Vista Street. Additionally, new soundwalls were added to accommodate for the widened freeway. This freeway enhancement project, which spans a distance of 3.4 miles in each direction improved I-5 traffic flow, relieved congestion and encourages ride sharing. are monitored to ensure that they grow as originally planned.